The Junior Petite Lift Chair is designed to comfortably fit those measuring less than 5 feet in height. This lift chair offers smooth, quiet lifting that is designed to perform year after year. 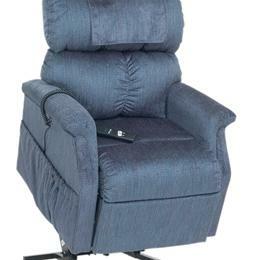 It features an extra soft seat and back pillows with lumbar support combined with “grip rite” arm design to make the most comfortable lift recliner you have experienced.